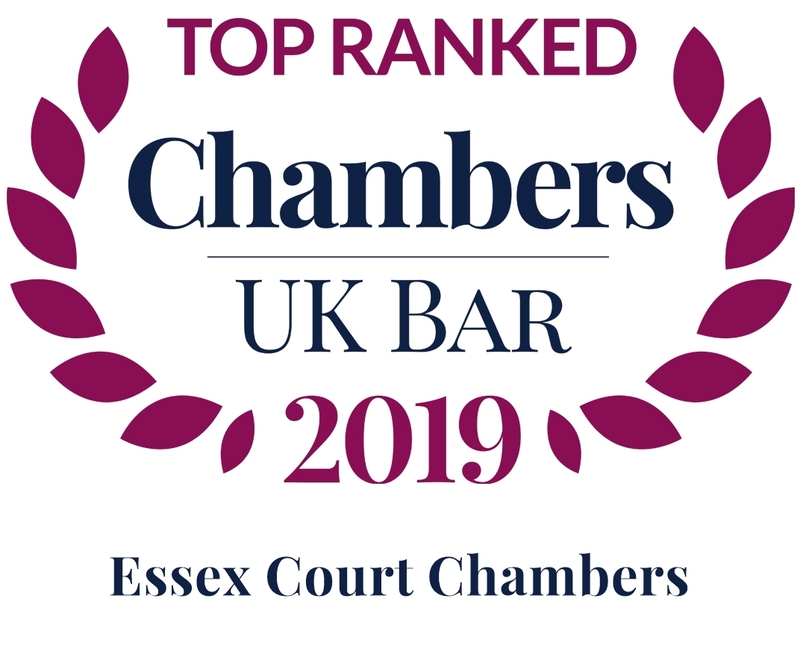 In private practice at the English bar since 1994, specialising in international and commercial law, and in particular international and commercial arbitration. In private practice at the Singapore Bar since 2017. Regularly advise and appear as Counsel before the English and Singapore Courts and international arbitrations worldwide. Substantial experience in: Foreign Investment; International Trade; Joint Ventures; Power and other large scale infrastructure projects; Oil & Gas; Telecommunications; Shipping; Agency and distribution (including commercial agency); Conflict of Laws; Public International Law. “Arbitration Lawyer of the Year”, and ranked 1st in International Arbitration in Who’sWho Legal worldwide survey, 2014 and 2015. Ranked 2nd for 2017. 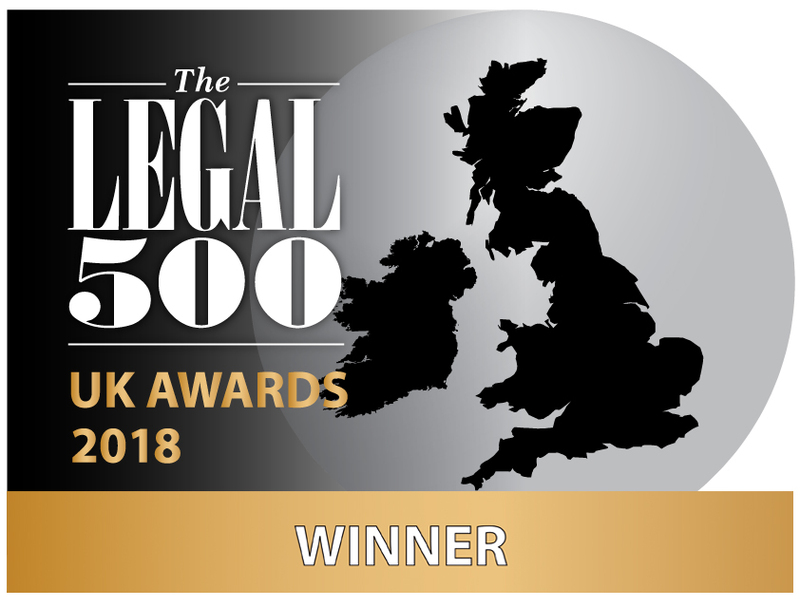 Legal 500 Award for “International Arbitration Silk of the Year” 2017. 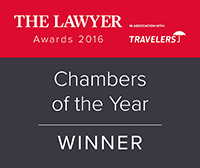 Chambers & Partners Award for “Silk of the Year” in international arbitration, 2011 (also short-listed for 2012 and 2014). 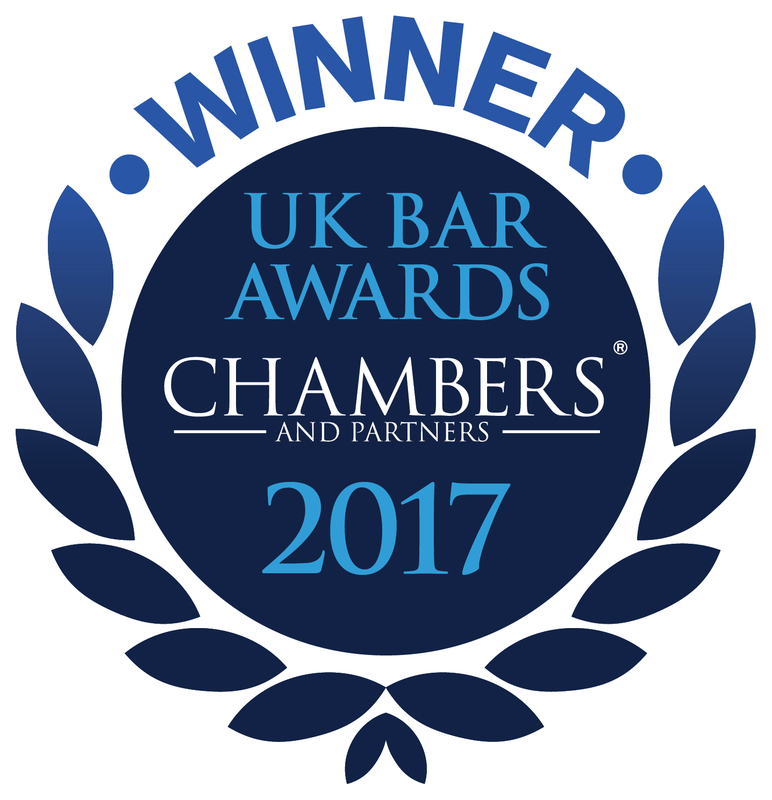 Prior to taking Silk in 2008: Chambers & Partners Award for “Junior Barrister of the Year” in international arbitration, 2005 and 2007 (also short-listed in 2006). 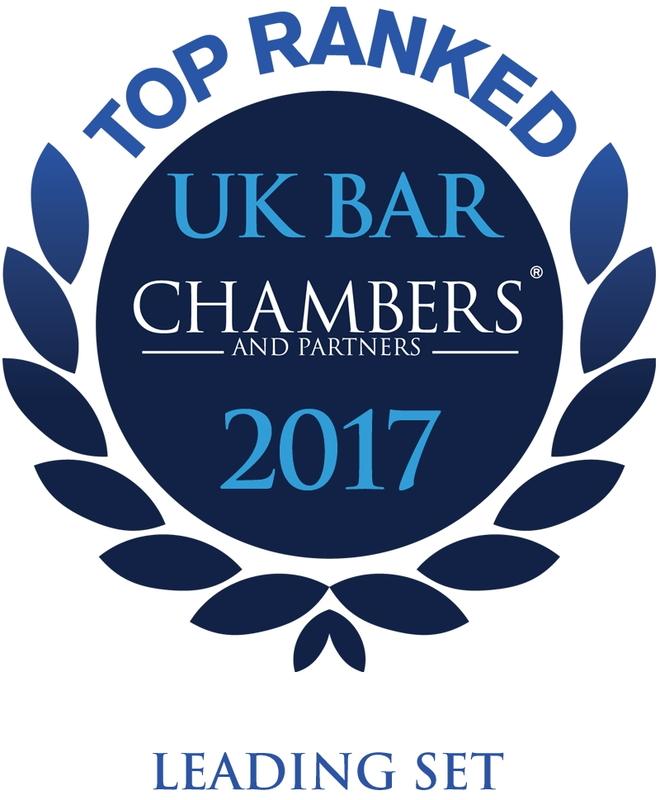 Only UK barrister to have “Star Individual” ranking in international arbitration (a category above Band 1) by Chambers & Partners. Listed in The Lawyer “Hot 100” 2018. Regularly advise on and argue inter-state / public international law disputes. Representative matters include: The Railway Land Arbitration (Malaysia/Singapore) 2014 (PCA) (representing Singapore). Lead Counsel in over 300 international arbitrations in numerous countries worldwide, across the full spectrum of subject matter listed above. White Industries v India (UNCITRAL Proceedings) Case against India arising out of delay in the Indian Courts and failure to enforce an ICC arbitration award. Chevron Block Twelve and Chevron Blocks Thirteen and Fourteen v. People’s Republic of Bangladesh (ICSID Case No. ARB/06/10) Case concerning exploration, development and production of natural gas. Foresti v South Africa (ICSID Case ARB(AF)/07/1) Case against South Africa concerning Black Empowerment policies. Fondel v Azerbaijan (ICSID Case ARB/ 07 / 1) Case against Azerbaijan involving take-over of a major aluminium plant. Turkcell v Iran (UNCITRAL Arbitration) First BIT claim against the State, concerning the cancellation of a major telecoms licence. KT Asia v Republic of Kazakhstan (ICSID Case No. ARB/09/8) (co-counsel). MNSS B.V. and Recupero Credito Acciaio N.V. v. Montenegro (ICSID Case No. ARB(AF)/12/8) Claim in respect of one of the largest foreign investments in Montenegro (steel industry). Global Telecom Holding S.A.E (Formerly Orascom Telecom Holding S.A.E) v. Algeria (UNCITRAL Proceedings). Vodafone v India (UNCITRAL Proceedings) c. US$3 Billion claim against the State of India in respect of retrospective tax legislation. Hydro S.r.l & ors v The Republic of Albania (ICSID Case No. ARB/15/28) Interim measures application concerning the restraint of criminal and extradition proceedings. AI Jazeera Media Network v. Arab Republic of Egypt (lCSID Case No. ARB/16/1) Claim against the State of Egypt in respect of mistreatment of journalists (including imposition of the death penalty) and undermining of a media business following the clamp down on the Muslim Brotherhood. IPCO v Nigerian National Petroleum Corporation  UKSC 16 Successfully reversed Court of Appeal judgment regarding the basis for imposing security in applications under the New York Convention. C v D1 D2 D3  EWHC 2126 Successfully resisted challenge to LCIA award. Benkharbouche & Janah v Embassy of Republic of Sudan; Libya  EWCA Civ 33 Represented Libya in leading case on the scope of State Immunity with respect to claims by employees against embassies. Statoil v Sonatrach  EWHC 875 Successfully resisted challenge to ICC award. Ust-Kamenogorsk v AES Ust-Kamenogorsk – UK Supreme Court  1 WLR 1889 Leading case on anti-suit injunctions. Successfully resisted the appeal (appearing against Lord Goldsmith QC). Jivraj v Hashwani – UK Supreme Court,  1 WLR 1872 Represented the ICC in this high-profile case before the UK Supreme Court, on the applicability of anti-discrimination law to arbitration. “Most Significant Decision of 2011” Award by Global Arbitration Review. Dallah Real Estate and Tourism Holding Co v The Ministry of Religious Affairs, Government of Pakistan – UK Supreme Court  3 WLR 1472;  1 All ER 485;  2 Lloyd’s Rep 691. Successfully resisted the recognition and enforcement of a US$20 million ICC award under the New York Convention (a rare instance of the English Court denying enforcement to an ICC Award, and now the leading Supreme Court authority on the New York Convention). awarded “Court Win of the Year 2010” by Global Arbitration Review for this judgment. Court of Appeal –  2 WLR 805;  1 All ER 592;  1 Lloyd’s Rep 119. Chantiers d’Atlantique v Gaztransport & Technigaz  EWHC 3383(Comm) Successfully defended an ICC arbitration award in a three week trial alleging that the award had been procured by fraud. Czech Republic v European Media Ventures SA  1 Lloyd’s Law Rep 186;  1 All ER (Comm) 531; (2007) 2 CLC 908 Second BIT award to be challenged before the English Courts. Successfully resisted s.67 application, based on the interpretation of the COMECON era bilateral investment treaties. Orascom Telecom Holding SAE v Republic of Chad  2 Lloyd’s Law Rep 396; (2008) 2 CLC 296 Successfully secured an order executing an arbitral award against the assets of Chad in London, on the basis that the assets (bank accounts within a World Bank loan scheme) were not protected by sovereign immunity. Significant interpretation and application of the State Immunity Act 1978. Syska v Vivendi Universal SA  2 Lloyd’s Law Rep 636;  1 Lloyd’s Law Rep Plus 88; (2008) 2 CLC 459 Successfully resisted jurisdiction challenge in a claim worth € 2.2 Bn. Interpretation of the European Parliament and Council Reg 1346/2000/EC on Insolvency Proceedings. Elektrim SA v Vivendi Universal SA (No 2)  2 Lloyd’s Rep 8; (2007) 1 CLC 227 Successfully resisted application for anti-suit injunction, in relation to foreign arbitration proceedings (one of Europe’s largest telecoms disputes, worth over € 2 Billion). Key decision on the effect of the Supreme Court Act s.37. Elektrim SA v Vivendi Universal SA  1 Lloyd’s Rep 693;  2 All ER (Comm) 365; (2007) 1 CLC 16 Successfully resisted application to set aside arbitral award on grounds that it was procured by fraud. Republic of Ecuador v Occidental Exploration and Production Co (No 2)  2 Lloyd’s Rep 352; (2007) 2 CLC 16 – Court of Appeal Successfully defeated s.67 jurisdiction challenge against a BIT award – interpretation of US-Ecuador Treaty / Vienna Convention. First BIT award to be challenged before the English Courts. Key issue of non-justiciability, and the first full analysis by the English Court of Appeal on the juridical nature of bilateral investment treaties. Weissfisch v Julius  1 Lloyd’s Law Rep 716;  2 All ER (Comm) 504 – Court of Appeal Successfully resisted application for anti-arbitration injunction. Seminal analysis by the Court of Appeal on the relationship between the English Court and international arbitration, in a multi-million dollar dispute. A v B  1 Lloyd’s Law Rep 237;  1 All ER (Comm) 591; (2007) 2 CLC 157 Successfully resisted challenge to international arbitration agreement in multi-million dollar international dispute, involving allegations of fraud and misrepresentation against the arbitral tribunal itself. Margulead Ltd. v. Exide Technologies  1 Lloyd’s Law Rep 324;  2 All ER (Comm) 727 Successfully resisted challenge to arbitral award on the basis of an alleged serious procedural irregularity. Analysis of key provisions of the Arbitration Act 1996. LG Caltex Gas Co Ltd v. China National Petroleum Corp  1 WLR 1892;  4 All ER 875;  2 All ER (Comm) 97;  BLR 325; 6 June 2001 Times Law Rep; (2001) CLC 1392 – Court of Appeal Successfully resisted challenge to arbitration award. Very significant analysis by Court of Appeal of the jurisdiction scheme of the Arbitration Act 1996. AT&T Corporation and Another v. Saudi Cable Co  2 Lloyd’s Law Rep 127;  2 All ER (Comm) 625;  BLR 293 & 743 23 May 2000 Times Law Reports – Court of Appeal Challenge to an arbitrator. Key decision on the concepts of “independence and impartiality”. Agrokor A.G. v. Tradigrain S.A  1 Lloyd’s Rep 497 Sale of goods (f.o.b. ), repudiation and construction of prohibition clause. Total Liban s.a.l. v. Vitol Energy S.A.  2 Lloyd’s Rep 700 Contract – Breach – Indemnity – Assignment – Champerty. Wealands v. CLC Contractors Ltd, Key Scaffolding Ltd  2 Lloyd’s Law Rep 739;  BLR 401; 16 November 1999 Times Law Reps.; (1999) CLC 1821; (1999) CILL (2001) 74 Con LR 1: Times, October 5, 1999 – Court of Appeal Whether arbitrators have powers or jurisdiction to make an award for contribution under the Civil Liability (Contribution) Act 1978. Esso Petroleum Co Ltd v Texaco Ltd and others  All ER (D) 1122 Company – Articles of association – Directors – Whether directors of a joint venture vehicle company mere nominees or required to exercise discretion independently of appointing companies. China Agribusiness Development Corporation v. Balli Trading  2 Lloyd’s Law Rep 76 (1997) CLC 1437 Resisted an attempt to challenge recognition and enforcement of the first CIETAC award to be brought before the English Courts under the New York Convention 1958. Egmatra A.G. v. Marco Trading Corporation  1 Lloyd’s Law Rep 862 One of the first challenges to an award under the Arbitration Act 1996 – detailed analysis of s.68 and “procedural irregularity”. Villa Denizcilik Sanayi ve Ticaret AS v. Longen S.A. (The “Villa”)  1 Lloyd’s Law Rep 195 Appointment by the Court of an arbitrator; construction of arbitration provisions on appointment. PT First Media (& Ors) v. Astro Nusantara Int’l BV (& Ors)  SGCA 57 Hearings before the Singapore High Court in July 2012 and the Singapore Court of Appeal in April 2013. Successfully resisted the enforcement of 5 SIAC Awards in Singapore. Astro Nusantara Int’l BV (& Ors) v PT First Media (& Ors) (2016) CACV 272/2015 Hearings before the Hong Kong High Court in Dec 2014, Court of Appeal in Nov 2016, and Court of Final Appeal in Aug 2017 & Mar 2018. Advocate and Solicitor in independent practice at Essex Court Chambers Duxton (Singapore Group Practice) in Singapore. Member of the Court of the Singapore International Arbitration Centre (SIAC), Chair of the SIAC Users Council National Committee for UK, and member of the SIAC Users Council Executive Committee. Renta 4 / Rovime Investments v Russian Federation. Institutional and ad hoc commercial arbitration cases, including ICC; LCIA; Stockholm Chamber of Commerce; Netherlands Arbitration Institute; International Arbitral Centre of the Austrian Federal Economic Chamber; ARIAS; CCIG (Swiss Rules); CRCICA; UNCITRAL. Member of specialised sub-committee on Investor-State arbitration, responsible for the 2017 SCC Arbitration Rules. Member of specialised sub-committee on Investor-State arbitration, currently revising the SIAC Arbitration Rules. Retained by the International Trade Centre (Geneva) as International Consultant to the Pakistan Ministry of Commerce to draft the Pakistan Trade Dispute Resolution Bill 2017. Retained by the UK Government to advise on and assist in drafting the English Arbitration Act 1996, in conjunction with Lord Saville. Very closely involved in all policy aspects and all drafting of the Act, as well as the associated Rules of Court (1994-1997). Retained by the Hong Kong Government to draft the Land Premium Arbitration Pilot Scheme. Advised on and co-drafted the Pakistan Recognition and Enforcement (Arbitration Agreements and Foreign Arbitral Awards) Ordinance, 2005 (implementing the New York Convention 1958 into Pakistan law). Advised on the drafting of the Pakistan Arbitration (International Investment Disputes) Ordinance, 2006 (implementing the Washington Convention 1965 into Pakistan law). Advised on and co-drafted the new Mauritius International Arbitration Act 2008. 2007-2008: Retained by Government of Bahrain to advise on and draft a new international arbitration regime, involving the compulsory transfer of commercial cases from the Bahrain Courts. Member of the IBA Arbitration Sub-Committee, responsible for drafting the 2009 IBA Rules on the Taking of Evidence in International Arbitration. Member of the IBA Arbitration Sub-Committee, responsible for updating the 2004 Rules on Conflicts of Interest in International Arbitration. the UNCITRAL Rules on Transparency and the Mauritius Convention on Transparency in investor-State arbitration. Draftsman of the ACAS Employment Arbitration Scheme (instructed by the UK Department of Trade & Industry (2000-1). Advised on the drafting of the arbitration provisions of the Contract (Rights of Third Parties) Act 1999 (instructed by Law Commission and Lord Chancellor’s Department). “Dysfunctional Deliberations and Effective Advocacy” (paper presented at the ICCA Congress in Mauritius, May 2016, to be published by Kluwer in the ICCA Congress series, No 19). “The Relationship Between International Arbitration and the Regulators: A Pause for Thought” (paper presented at the ICCA Congress in Singapore, June 2012, to be published by Kluwer in the ICCA Congress series, No 17). “Saving Investment Arbitration From Itself” The 2011 Freshfields Lecture. Award for “Best Speech of the Year 2011”, Global Arbitration Review. “Tainted Memories: Exposing the Fallacy of Witness Testimony” The 2010 Kaplan Lecture (delivered in Hong Kong, Nov 2010) – short-listed for Award for “Best Speech of the Year 2010”, Global Arbitration Review. “Opening Statements” Chapter 14 in The Art of Advocacy in International Arbitration (2nd Ed, Juris, 2010 – with Doak Bishop). “Reasons for Reasons: the Duty of Arbitrators in Investor-State Arbitration” (paper presented at the ICCA Congress in Dublin, June 2008, to be published by Kluwer in the ICCA Congress series, No.14 (2009)). “Arbitral Lifelines”: The Protection of Jurisdiction by Arbitrators (paper presented at the ICCA Congress in Montreal, June 2006, published by Kluwer in the ICCA Congress series, No.12 (2007)). Article II and the Requirement of Form, Chapter II.9 in Gaillard & Di Pietro (eds) “Enforcement of Arbitration Agreements and International Arbitral Awards – The New York Convention 1958 in Practice”, Cameron May, 2007 (with S. Moollan). The Written Form Requirement for Arbitration Agreements: When “Written” Means “Oral” (paper presented at the ICCA Congress in London, May 2002, published by Kluwer in the ICCA Congress series, No.11 (2003)). The Effect of the New English Arbitration Act on Institutional Arbitration 13 J.Int.Arb.4 (1996) (cited by Mr Justice Lightman in Nigel Peter Albon v Naza Motor Trading  EWHC 665 – ChD). Traphagen Distinguished Alumni Lecturer, Harvard Law School, 2017. (Renta 4 / Rovime Investments v Russian Federation). — Institutional and ad hoc commercial arbitration cases, including ICC; LCIA; Stockholm Chamber of Commerce; Netherlands Arbitration Institute; International Arbitral Centre of the Austrian Federal Economic Chamber; ARIAS; CCIG (Swiss Rules); CRCICA; UNCITRAL. Member of the Board of Directors of the London Court of International Arbitration (LCIA) (2000-2015). Trustee of the Chartered Institute of Arbitrators (2004 – 2009); Deputy Chairman of the Board of Trustees (2006-2008). Appointed by Lord Chancellor to UK Government Standing Committee on Private International Law (1997 to 2008). Past member of the Executive Committee, Swedish Arbitration Association. Adjunct Professor at the Singapore Management University (SMU) (2015). Visiting Lecturer, Pakistan College of Law, Lahore. Annual visiting lecturer on arbitration law: Asser Institute, The Hague (1995 -2004). Visiting Lecturer (Arbitration Law) – Research Society of International Law, Pakistan (2006-7). Visiting lecturer on arbitration law at the International Development Law Organisation (Rome, 2003 and 2004). Lecturer (as a UN consultant) on arbitration training course for Yemen judges and government officials, Sana’a, 2004. Speaker (at invitation of the Chief Justice of Pakistan) at the Supreme Court of Pakistan, Islamabad, in August 2006, on the occasion of its 50th year celebration. Ministry of Justice, Thailand (Arbitration Office): Legal Consultant (Harvard University Lewis Fellow) (1994). Director of Studies and Lecturer: arbitration course at Thai Ministry of Justice (1993). Visiting Lecturer: Chulalongkorn University (LL.M. Class) and Judge’s Institute (1993). World Bank/UNDP/Harvard Project: Editor and Co-Author of an Arbitration Manual for Government of Lao PDR (1992-93). University of London: Law Tutor in contract and tort (1991-92). Court of Appeal (Civil Appeals Office), London: Office Lawyer (1991). Frequent ad hoc lectures in England and abroad on international arbitration and many aspects of commercial law.